fantastical, Cloud Storage provides a very real, very practical service that has burst forth into life from its long dormant status. Wait, I hear you cry, what do you mean dormant? Cloud Storage is new isn’t it? Well, whilst Cloud Storage has exploded to the forefront of technology in recent years, Cloud Storage (originally coined as Cloud Computing) is actually over 50 years old. It’s been a long time coming, and until now, it hasn’t been truly realised. 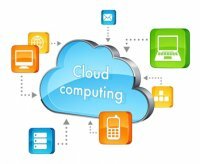 Cloud Storage is a method of storing, managing and processing data on a network of remote servers that are hosted by the internet rather than on a local server or personal computer. This is the equivalent of having your own personal internet, on which you can leave information that you might pick up on a different device later, or that you might share with a colleague. So what has Cloud Storage got to do with project management methodologies? Cloud Storage means efficient communication, improved file sharing and evolved collaboration. Keeping your files, calendars, projects and other tools ‘offshore’, you technically increase work potential with greater opportunity for productivity and multi-platform accessibility. The benefits are obvious. Quicker, 24hr, multi-platform access coupled with online conference calls allowing your team to complete their objectives from anywhere in the world. In addition, CIOs (or Chief Information Officers) will likely be pressuring project managers to make the move to Cloud Storage based information, because it saves money on their budget. In fact, according to Business Insider, 84% of CIOs claim that Cloud Storage saves a company money on application costs. In 2014, we’re likely to see more firms moving towards cloud based project management tools. This reflects our constant need to be in touch with ideas and it will certainly provide greater fluidity to project progress. The majority of businesses have moved towards using Cloud Storage, technology analysts CRN reports that 37 per cent of companies are using public clouds and 35 per cent using are private clouds. Of course there are also hybrid Cloud Storage systems that allow the use of both public and private clouds, but interestingly only 7 per cent of businesses are using this system – due to an influx of development regarding hybrid systems, we expect to see this figure grow dramatically over the next year. Of the remaining percentage, CIO Insight believes 77 per cent of enterprises are already in the initial stages of implementing a Cloud Storage system. So how does Cloud Storage relate to successful projects? As the commercial world becomes faster and faster it is increasingly important to be ever present as a project manager; you are required to review, plan and control constantly. Immediate and direct access to all project information and documentation is essential, especially as the project manager, members of a project team or other key stakeholders may not always be in the same location. What about file sharing? Is that the same as Cloud Storage? If not, which is better? File sharing doesn’t offer the same versatility as most Cloud Storage programs, and those that do are slower than the Cloud. Because Cloud based file sharing solutions are hosted online, they aren’t required to sync with another computer, they are just there, ready for you to view and edit, online. Project managers are working alongside CIOs and they’re looking to Cloud Storage as a tool for the future of project management. The need for an ever present accessibility to project information and the consistent monitoring of a project has become a highly coveted practicality. Ultimately, if you want to be a leading Project Manager in the coming years, you need to get on board with Cloud Storage amongst other forward thinking tools and services which will not only change the way you manage projects, but in some cases, make your life a lot easier. If you're pursuing a career with project management, you're likely to come across elements that involve Cloud Storage when you take on PRINCE2 training courses. With Cloud Storage, you don’t have to pay so much attention to file transfers and getting information to the right person. It’s already there. All you have to do is concentrate on the task at hand.